The complete cloud phone system, Easy to set up and easy to manage. Discover how easy it is to move your business phone system to the cloud. We host your phone system in the cloud. 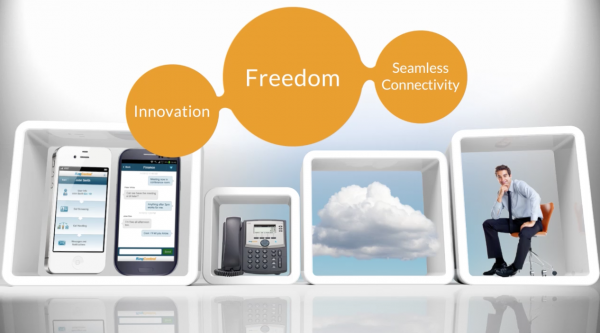 In the cloud your RingCentral cloud phone system enables deskphones and smartphones to work together. All your offices and workers are connected and available at your fingertips. 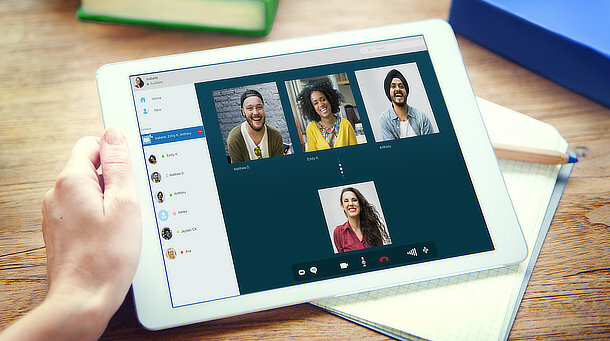 The cloud phone system is full of innovative features and are always handy from a web browser and the RingCentral Mobile App. What Our Customer's Have to Say! Over the past several decades working in technology services and management, I have experienced my fill of businesses that fail to deliver quality technical services. Like many businesses today, I have limited in-house technical resources. Our companies have seven locations in five states and I am most fortunate that I need make just one call to Momentum Communications Systems and they take care of the all of my telephone systems’ needs. I am most pleased with their services they have provided to our companies over the years. I highly recommend Momentum Communications. Jim Schneider, QSSI Lighting & Electrical Products, Inc. Most advanced cloud phone system in the industry that delivers a  completely integrated user experience. Open platform to easily embed functionality into any system or application. Provide your information below and a sales consultant will contact you within 24 hours for a FREE Quote. Provide a consistent feature set and user experience to all users around the globe. Your phone system seamlessly integrates with Salesforce®, Oracle®, Zendesk, Desk, Box, Dropbox™, Google, and Microsoft®. Copyright © 2019. Momentum Communication Systems.